1 A None No Power Seat 1 A is a Works Deluxe seat, with plenty of extra legroom due to the exit row. The tray table is in the armrest, making the armrest immovable and slightly reducing seat width. 1 B None No Power Seat 1 B is a Works Deluxe seat, with plenty of extra legroom due to the exit row. The tray table is in the armrest, making the armrest immovable and slightly reducing seat width. 1 C None No Power Seat 1 C is a Works Deluxe seat, with plenty of extra legroom due to the exit row. The tray table is in the armrest, making the armrest immovable and slightly reducing seat width. 1 D None No Power Seat 1 D is a Works Deluxe seat with up to 4 extra inches of legroom. The tray table is in the armrest, making the armrest immovable and slightly reducing seat width. 1 E None No Power Seat 1 E is a Works Deluxe seat with up to 4 extra inches of legroom. The tray table is in the armrest, making the armrest immovable and slightly reducing seat width. 1 F None No Power Seat 1 F is a Works Deluxe seat with up to 4 extra inches of legroom. The tray table is in the armrest, making the armrest immovable and slightly reducing seat width. 10 A None No Power Seat 10 A has up to three inches of extra legroom, however this seat may not recline due to the Exit Row behind. 10 B None No Power Seat 10 B has up to three inches of extra legroom, however this seat may not recline due to the Exit Row behind. 10 C None No Power Seat 10 C has up to three inches of extra legroom, however this seat may not recline due to the Exit Row behind. 10 D None No Power Seat 10 D may not recline due to the exit row behind. 10 E None No Power Seat 10 E may not recline due to the exit row behind. 10 F None No Power Seat 10 F may not recline due to the exit row behind. 11 A None No Power Seat 11 A has up to three inches of extra legroom and is an Exit Row seat, however the Emergency Exit Door protrudes into your leg space. This seat does not recline due to the Exit Row behind. 11 B None No Power Seat 11 B has up to three inches of extra legroom and is an Exit Row seat, however this seat does not recline due to the Exit Row behind. 11 C None No Power Seat 11 C has up to three inches of extra legroom and is an Exit Row seat, however this seat does not recline due to the Exit Row behind. 11 D None No Power Seat 11 D has up to three inches of extra legroom and is an Exit Row seat, however this seat does not recline due to the Exit Row behind. 11 E None No Power Seat 11 E has up to three inches of extra legroom and is an Exit Row seat, however this seat does not recline due to the Exit Row behind. 11 F None No Power Seat 11 F has up to three inches of extra legroom and is an Exit Row seat, however the Emergency Exit Door protrudes into your leg space. This seat does not recline due to the Exit Row behind. 12 A None No Power Seat 12 A has up to three inches of extra legroom and is an Exit Row seat, however the Emergency Exit Door protrudes into your leg space. 12 B None No Power Seat 12 B has up to three inches of extra legroom and is an Exit Row seat. 12 C None No Power Seat 12 C has up to three inches of extra legroom and is an Exit Row seat. 12 D None No Power Seat 12 D has up to three inches of extra legroom and is an Exit Row seat. 12 E None No Power Seat 12 E has up to three inches of extra legroom and is an Exit Row seat. 12 F None No Power Seat 12 F has up to three inches of extra legroom and is an Exit Row seat, however the Emergency Exit Door protrudes into your leg space. 2 A None No Power Seat 2 A is a Works Deluxe seat, with up to four inches of extra legroom. 2 B None No Power Seat 2 B is a Works Deluxe seat, with up to four inches of extra legroom. 2 C None No Power Seat 2 C is a Works Deluxe seat, with up to four inches of extra legroom. 2 D None No Power Seat 2 D is a Works Deluxe seat, with up to four inches of extra legroom. 2 E None No Power Seat 2 E is a Works Deluxe seat, with up to four inches of extra legroom. 2 F None No Power Seat 2 F is a Works Deluxe seat, with up to four inches of extra legroom. 27 C None No Power Seat 27 C is a standard Economy Class seat, however the close proximity to the lavatory may be bothersome. 27 D None No Power Seat 27 D is a standard Economy Class seat, however the close proximity to the lavatory may be bothersome. 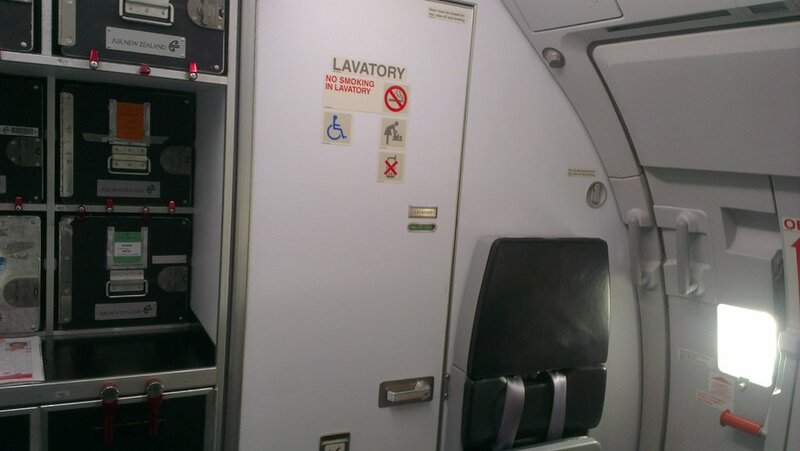 28 A None No Power Seats 28 A may have limited or no recline and proximity to the lavatory may be bothersome. 28 B None No Power Seats 28 B may have limited or no recline and proximity to the lavatory may be bothersome. 28 C None No Power Seats 28 C may have limited or no recline and proximity to the lavatory may be bothersome. 28 D None No Power Seats 28 D may have limited or no recline and proximity to the lavatory may be bothersome. 28 E None No Power Seats 28 E may have limited or no recline and proximity to the lavatory may be bothersome. 28 F None No Power Seats 28 F may have limited or no recline and proximity to the lavatory may be bothersome. 3 A None No Power Seat 3 A is a Space+ seat, with up to four inches of extra legroom. 3 B None No Power Seat 3 B is a Space+ seat, with up to four inches of extra legroom. 3 C None No Power Seat 3 C is a Space+ seat, with up to four inches of extra legroom. 3 D None No Power Seat 3 D is a Space+ seat, with up to four inches of extra legroom. 3 E None No Power Seat 3 E is a Space+ seat, with up to four inches of extra legroom. 3 F None No Power Seat 3 F is a Space+ seat, with up to four inches of extra legroom. 4 A None No Power Seat 4 A is a Space+ seat, with up to four inches of extra legroom. 4 B None No Power Seat 4 B is a Space+ seat, with up to four inches of extra legroom. 4 C None No Power Seat 4 C is a Space+ seat, with up to four inches of extra legroom. 5 A None No Power Seat 5 A is a Space+ seat, with up to three inches of extra legroom. 5 B None No Power Seat 5 B is a Space+ seat, with up to three inches of extra legroom. 5 C None No Power Seat 5 C is a Space+ seat, with up to three inches of extra legroom. 6 A None No Power Seat 6 A is a Space+ seat, with up to three inches of extra legroom. 6 B None No Power Seat 6 B is a Space+ seat, with up to three inches of extra legroom. 6 C None No Power Seat 6 C is a Space+ seat, with up to three inches of extra legroom. 7 A None No Power Seat 7 A is a Space+ seat, with up to three inches of extra legroom. 7 B None No Power Seat 7 B is a Space+ seat, with up to three inches of extra legroom. 7 C None No Power Seat 7 C is a Space+ seat, with up to three inches of extra legroom. 8 A None No Power Seat 8 A is a Space+ seat, with up to three inches of extra legroom. 8 B None No Power Seat 8 B is a Space+ seat, with up to three inches of extra legroom. 8 C None No Power Seat 8 C is a Space+ seat, with up to three inches of extra legroom. 9 A None No Power Seat 9 A is a Space+ seat and has up to three inches of extra legroom, however this seat has a misaligned window. 9 B None No Power Seat 9 B is a Space+ seat, with up to three inches of extra legroom. 9 C None No Power Seat 9 C is a Space+ seat, with up to three inches of extra legroom. 9 F None No Power Seat 9 F is a Space + seat and has up to three inches of extra legroom, however this seat has a misaligned window. On long-haul flights, passengers receive extensive meal choices and complimentary beverage service. This version of the A320 features one class of service and enhanced seats which include personal inflight entertainment. This aircraft can be found on international flights, including those to Australia and the Pacific. Had Seat 5A for a Flight from Christchurch to Auckland Yesterday. Lots of Space for a Person who is 146cm tall on a 1 Hour 10 Minute Flight. Another Great Feature of This Seat is it has 2 Windows in 1 Row. Recommended Seats on this Plane are Rows 6 ABC and Row 5 DEF and Row 4 DEF. CHC-BNE Economy, Smart saver, the works package. The seat was comfortable and close to front offering easy access to toilets and quick crew service. The food was delicious, my wife is vegetarian and was especially happy with meal, the entertainment offerings excellent. Travelled over with Qantas business class which was good but we both agreed this NZ airlines trip was a better experience. 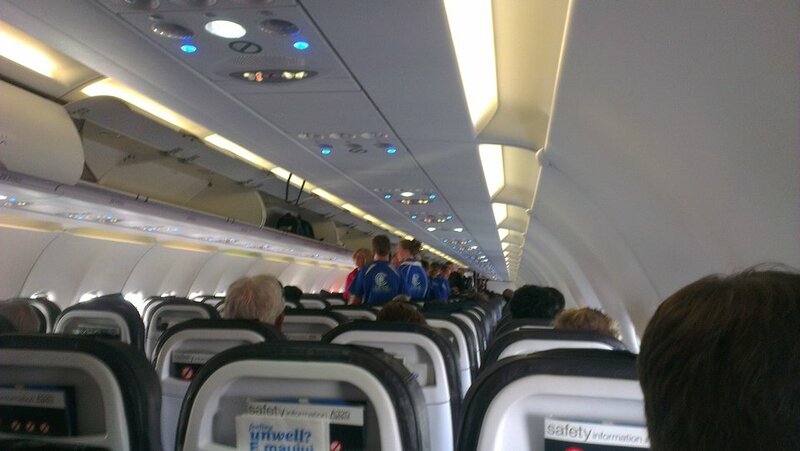 the back 4 rows which i was in was quite turbulent during take off and landing. Very comfortable seats however be aware that all passengers located row 16 and back will need to descend a set of stairs, walk on a dedicated walkway on the tarmac, and the ascend a set of removable steps at the rear galley. If you have difficulty with stairs, these are not the seats for you. If you present yourself to a gate agent, they may make necessary arrangements for you. Paid extra for 12F. Window seat cushion sits lower (4cm?) than others in row due to overwing exit door and makes for a weird feeling as everything else (table, armrest, video screen) is then out of alignment. Can't really say there is much extra leg room here either, at most maybe an inch but it wasn't much...certainly not "up to 3 extra inches" as advertised. The ABC seats may be different. I was very pleased with this seat. It made for easy boarding at the airport, and also easy exiting of the aircraft at the end of the flight. The cabin crew were very polite and kept offering me coffee! Plenty of leg room too. Although, I did pay for a basic seat plus bag seat so I ended up having to pay extra to see a movie, which was the only negative part of my flight. Although, nevertheless, a great flight, and I look forward to my next flight. Thanks Air New Zealand! Yes there wasn't much room in our seats. I noticed that the aircraft engines were very noisy even with my headset on. Usually I enjoy the food but the chicken we had tasted and smelt weird. Very quiet and smooth landing and not noisy at all. Dont fly on this aircraft unless you book works deluxe seats. Sitting in standard economy seats your knees are in the seat back in front which makes the screen too close to view properly and if the person in front puts their seat back back its right in your face, we now know what sardines in a can feel like. This was a works deluxe seat so had extra legroom, and a guaranteed empty seat next to you. The seat has very little recline. I am 180cm tall and weigh 100kg. Overall I was pleased with the seat. The armrest folded up giving me more room.However it is very close to the front toilet and also where the crew sit and prepare food. So there are a lot of people walking past you and standing near you. These Works deluxe seats are not cheap though, as you are effectively paying for 1.5 seats. It's a pity they use these planes for international flights lasting around 4.5 hours. 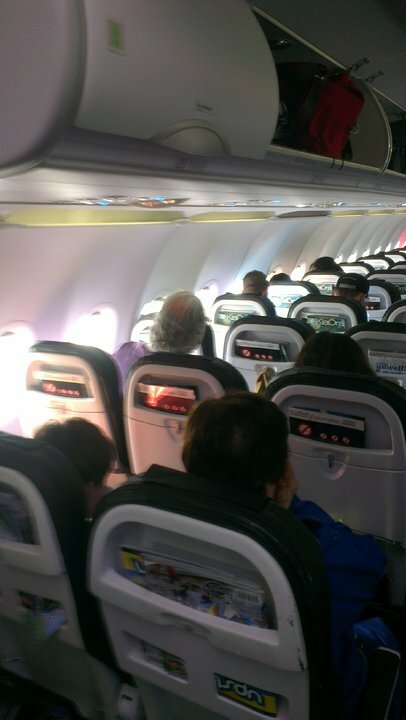 They should use larger wide bodied planes. This plane has no Business Class or Premium Economy seats. If you want to know what a battery hen feels like, take a flight on this plane. Staff friendly and service good, shame about the aircraft. I've flown a lot in my life but never on such a cramped plane. We spent the whole time praying the people in front wouldn't put their seat back. Really puts me off returning to Rarotonga as this seems to be the return aircraft and I'd never fly from LA with the option of transiting on this plane through the Cook Islands. Air New Zealand really lets down their service with this aircraft. The seats are very cramped. No leg room. I am only 160cms. People in front [Large male kiwis} had reclined their seats and this made it very uncomfortable for me. I flew over on Virgin . Slightly better leg room. Would probably look for another airline. I am 157cms tall and I sat in this seat on a flight from Christchurch to Brisbane, it was most the most uncomfortable 3.5 hours I have ever spent on a plane, my knees touched the back of the seat in front, the seat only reclined 1 inch and there was no foot rest. 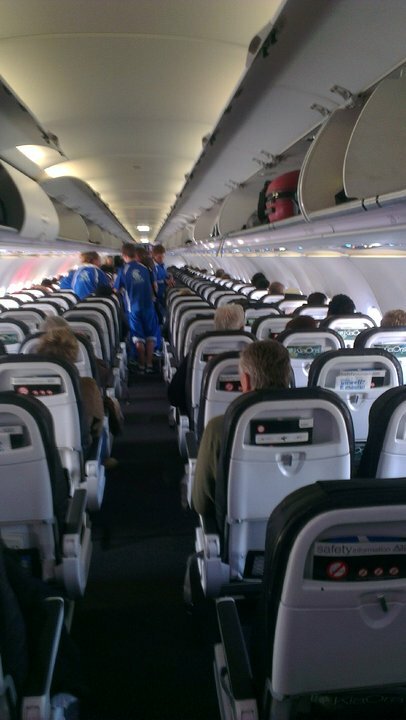 I strongly advise anyone over 150cms tall not to sit in a middle seat on this type of aircraft. Row 4, seats D E & F are misaligned with the rest of row 4 (A B & C) and the D E & F seat are very scrunched and offer much less leg room than most. I replied to AIR NEW ZEALANDS after flight survey and the reply was that this was due to the rows in front and 4 A B & C being better spaced for frequent flyers etc. I was surprised to see 9 D E & F being available that far forward when I booked my fare months ago and took 9F unawares of the reduce leg room. Once the man in front reclined his seat I had 30cms between my nose and the back of his seat. Mercifully it was only a 3 hour flight. Never again Air New Zealand. I'm 200cm tall so paid $20 extra for the extra leg room, was a wise investment as flight was 100% loaded. Seat was just wide enough, comfort was OK for 4 hour flight. Service was very good with positive, helpful attitude on the ground and in flight. Seats in Row 1 D, E, and F are up against a bulkhead and although there is good leg room, tall people may not be able to stretch their legs out. (I am 183cm tall) I also noticed that all the seat in Row 1 (both sides) have flip up screens which means the controls are in the arm rests. This makes the arm rests wider and the seats a tighter fit and cannot be lifted. From Row 2 the screens are in the back of the seats in front and don't have controls in the arm rests so they can be lifted. 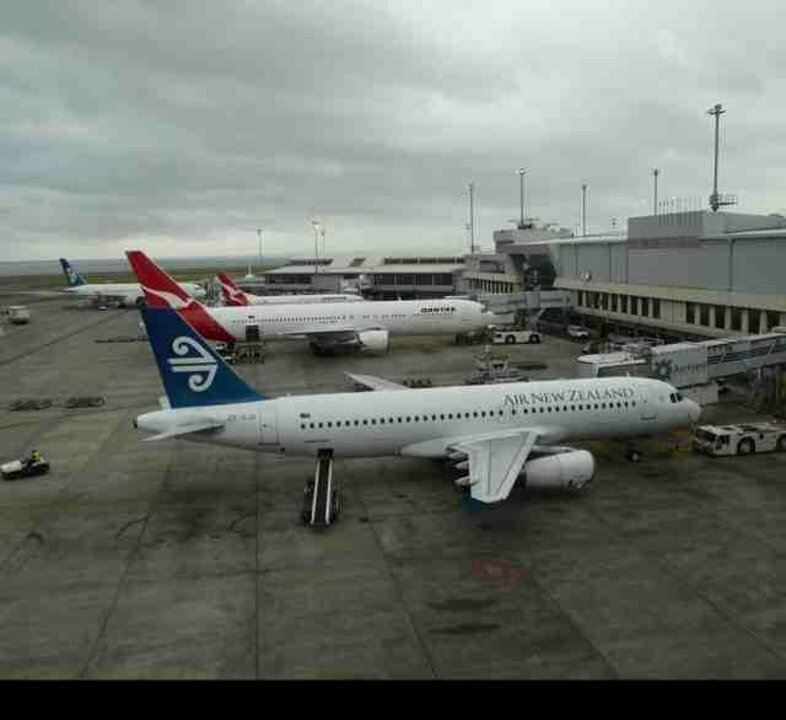 Judging from our return flights AKL-SYD, Air NZ is a budget airline in service but not price. Average cost, flights booked nearly 3 months in advance, was NZ$250 per leg! Most uncomfortable airline seat I can remember: you are upright in a cramped seat for 3-4 hrs, with virtually no recline (seatback moves about 1 inch). Not good for tall people, and I had sore back and hip after a couple of hours (5ft 8). For the stiff price you get offered tea or coffee in a cardboard cup or a plastic glass of water. Meals and snacks cost extra. Service is also very slow, particularly if you are not seated front of cabin, as with only four flight attendants for the entire plane Air NZ seems to have economised with staff as well as service. Business class looked uninviting, with the only noticeable differentiation being that the centre one of the three economy-sized seats was left empty. I would recommend finding a better service-for-money airline. I love the in-flight ordering system being able to get a drink or snack without having to leave your seat however pitch is very small and was barely tolerable for the 3 hour flight from Sydney to Auckland. Additionally the seat doesn't recline due to the fact that the exit row is directly behind. Flight attendants were very nice and overall a very enjoyable flight.